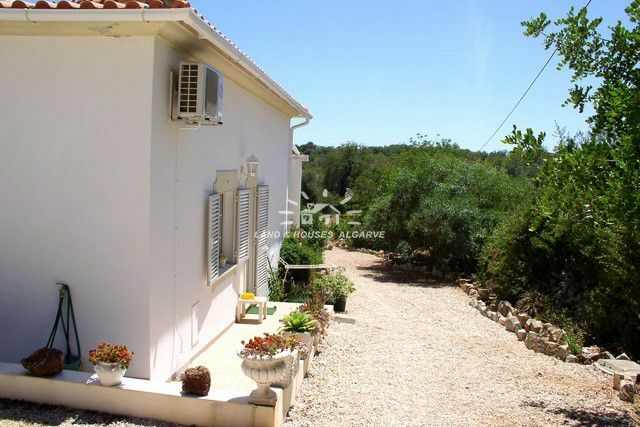 Well presented bungalow style country villa set in a tranquil area only a few minutes drive of Loule offering lovely country views. 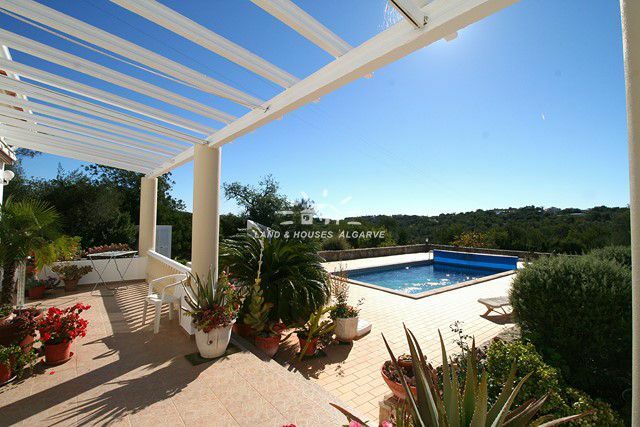 The villa is set on a large, partly landscaped plot with good access road. Spacious gravelled stone driveway leading to an ample parking area with wooden shad and to the entrance door. 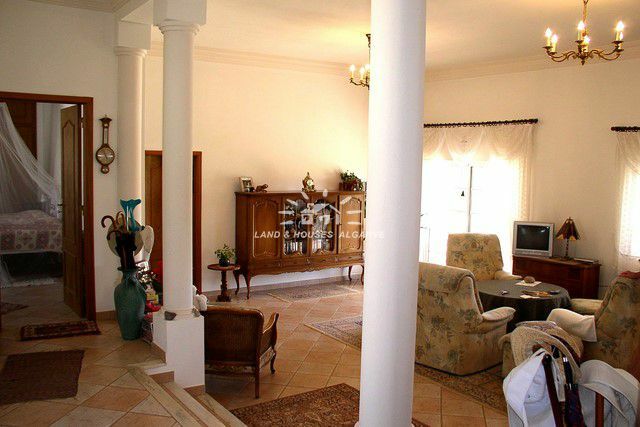 Open plan entrance hall with guest-WC opens up through large pillars to the very spacious living dining room with wood burner stove and high ceilings. Several sets of patio doors give access to the south facing terrace and pool area. 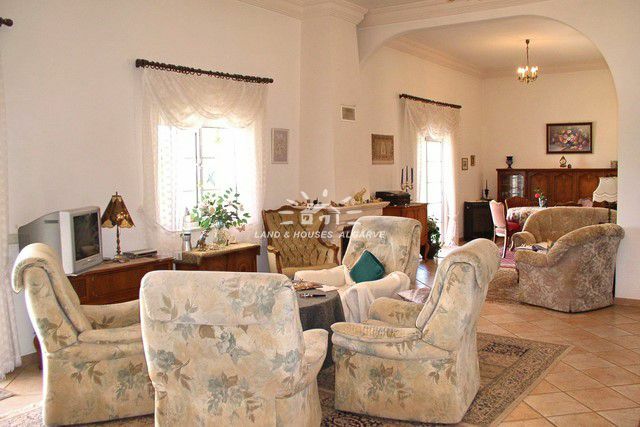 The good-sized kitchen is fully fitted and equipped, has a breakfast area and an adjacent pantry, which is currently used as a winery always having 15 C. There are also 2 spacious bedrooms each having an en-suite bathroom and fitted wardrobes or a dressing area. 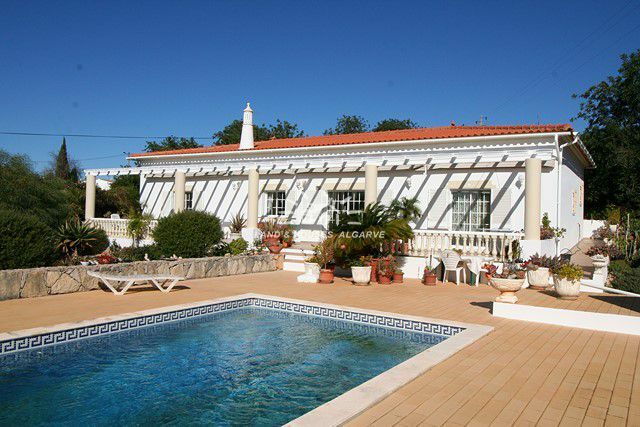 Several terraces and the covered swimming pool with a perfect sun exposure are surrounding the house. The large shaded terrace has a very practicable removable cover installed and is offering nice views over the garden towards the countryside. 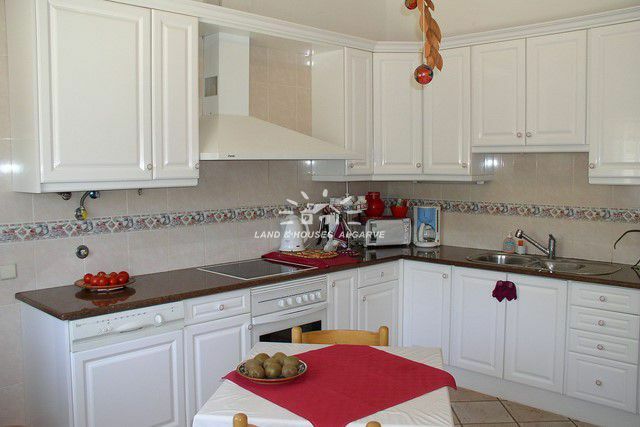 Good quality construction and high ceilings throughout. Energy certificate class In Progress.